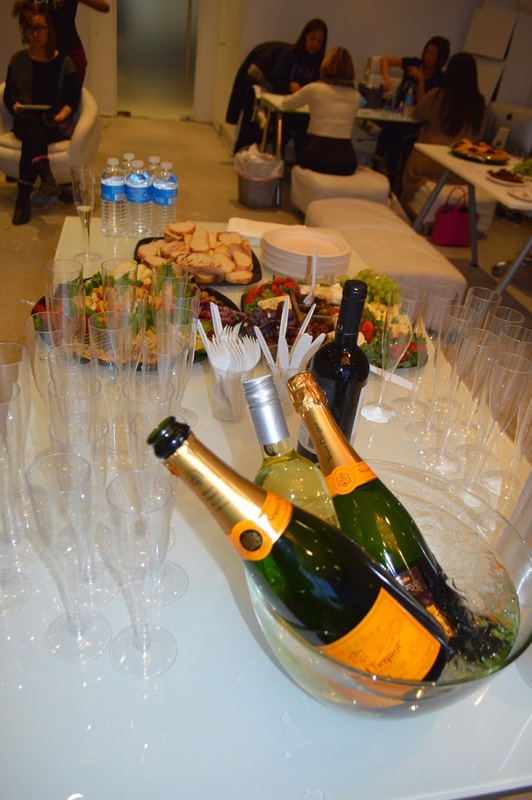 dOMAIN NY Showroom hosted a fabulous preview for their brand’s Spring/Summer and upcoming Fall 2015 collections. Designers included House of Harlow, CC SKYE, Karen Kane, and n: PHILANTHROPY. I had so much fun browsing n: PHILANTHROPY's casual-chic denims, knits and basics, and getting a glimpse at what's coming next from this luxe new brand. One of my favorite pieces from their new collection was the above pink faux fur coat. It was so glamorous and I couldn’t resist trying it on! GLAMHOUSE jewelry brands House of Harlow 1960 (by Nicole Richie), CC Skye and Karen Kane showcased their hottest new collections and CC Skye was on-hand to share her inspiration for her line. 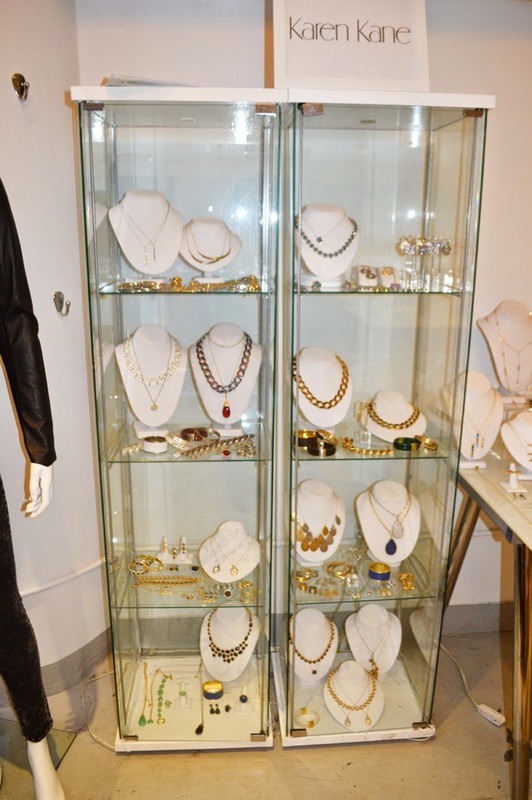 House of Harlow presented a beautiful collection of statement pieces. I personally loved every piece and that’s quite a stretch for me when it comes to jewelry. Nicole Richie is so on point with her unique, classy and trendy styles for House of Harlow. Additionally, another jewelry favorite of mine was CC SKYE who I thought had such superbly crafted designs. Based in Los Angeles, CC SKYE embraces true “IT” Girl style with gleaming gold hardware and a fashion forward sensibility that has made her moniker line virtual wardrobe staples for super stylists and today’s brightest stars. 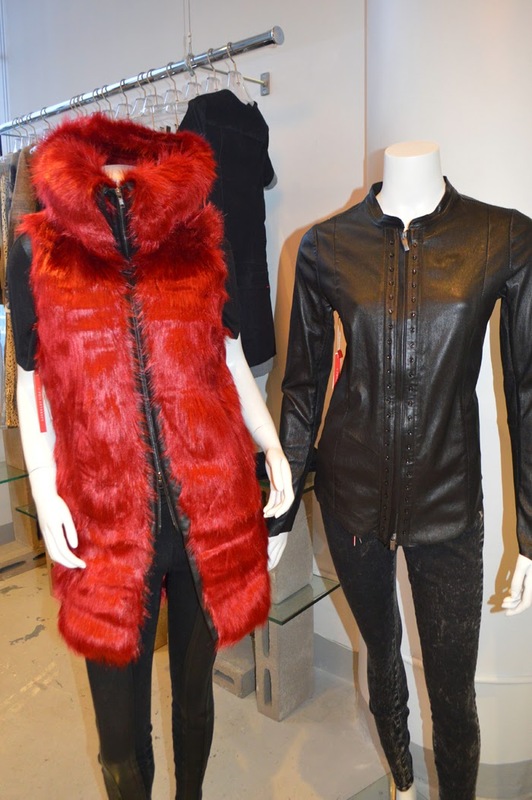 I was so in love with the above n: PHILANTHROPY's red faux fur vest and leather jacket from their new collection. Their Fall/Winter 2015 “The Freedom Collection” was created in Los Angeles with inspiration taken from the streets of Paris. My best friend Robin couldn’t resist trying on n: PHILANTHROPY's new faux blue coat. It looked so incredibly chic on her! Between the two of us we literally wanted to have every single one of their new faux furs. My turn! After snapping a few pictures of Robin in the blue coat I tried on n: PHILANTHROPY's lovely black faux fur coat with fringe. What a chic idea! I’ve never seen a piece like this before. The view at dOMAIN's showroom was certainly incomparable to any that I've seen in the city. I took a moment to really take in the beautiful sight of the Hudson River surrounded by the glowing lights of the city. Next, Robin and me had a much-needed manicure done compliments of PRIV. It was so nice just to unwind after our long day of appointments. Post manicure we were given a toast of champagne. I couldn’t help but wish that this were an every day occurrence. Fashion previews, champagne, hair-services and a manicure is pretty much up there with epic moments of this year so far. 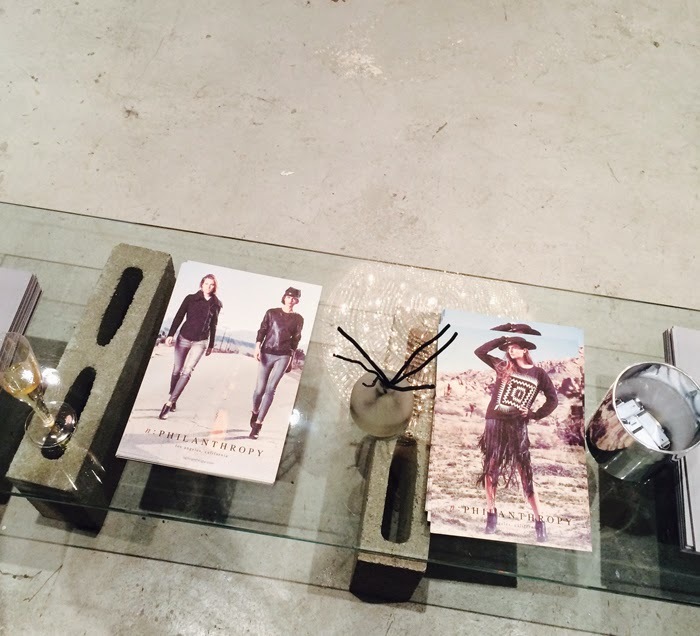 Thank you so much dOMAIN NY Showroom for having us!